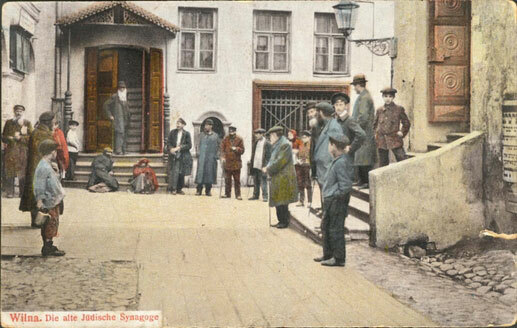 In 1901, Vilna had a Jewish population of some 76,000 – about half of the city's total population. Vilna was an important centre of Yiddish and Hebrew literature and media, including ultra-orthodox literature in Yiddish. Prominent writers in the press included the philosopher Hillel Zeitlin and the authors Isaac Dov Berkowitz and David Frishman. The daily newspaper Hazman (The Time) and a monthly journal of the same name became the platform for Shalom Rabinowitz (Shalom Aleichem), Zalman Shneur, and other writers. The city published apolitical Jewish newspapers, literary magazines, popular science journals and children's publications. 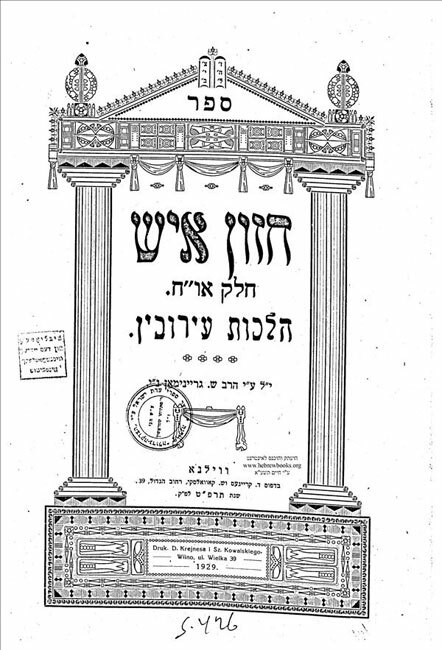 Following the ban on Hebrew print houses in the Russian Empire, only two were allowed to continue operations: one of which was in Vilna. In 1915, all the Jewish newspapers in Vilna were closed down by a Russian military order. 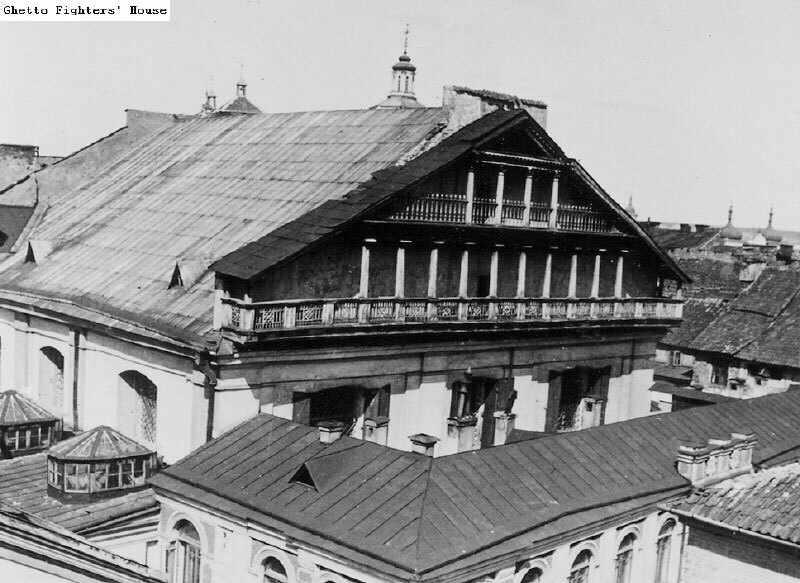 In 1910, more than 100 synagogues and kloizes (study halls) existed in Vilna. In one of them, Koreli ("Holy Purity"), many guest speakers addressed the congregation, including the young activist Dr. Shmaryahu Levin and the historian Simon Dubnow. At the beginning of the 20th century, Vilna had hundreds of Jewish educational institutions, most of them cheders (torah school for young children), in which some 13,000 children studied. These included state schools for Jews, a Jewish vocational school, and a beit midrash for rabbis that became a teacher training institute. In 1915, the "Association to Disseminate Education" established three schools – one for boys, one for girls, and one mixed – whose language of instruction was Yiddish. That same year, Dr. Epstein established the Vilna Hebrew Gymnasium (high school), later renamed after its founder. The informal Jewish educational system included dozens of literature, drama, music, industrial arts, choir and other courses. 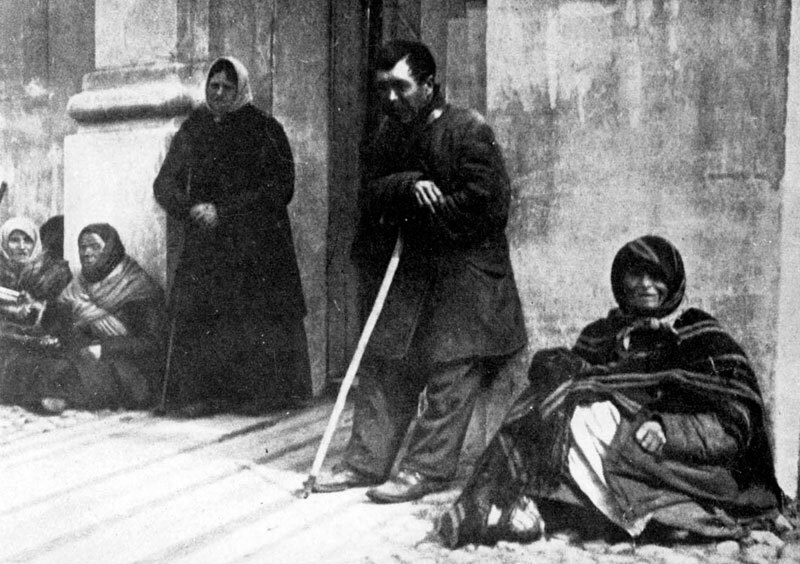 Charity and aid associations employed dozens of physicians and supported religious activities, the poor, the soup kitchen, recuperation activities for children, and burials. In 1908, the first children's home of the Jewish Organization for the Health Protection of Jews, the OZE (OSE), was founded in Vilna. During the period of the "Storms in the Negev" pogroms in the south of Russia, tension increased in Vilna, but Jewish self-defence activists thwarted an attempt to attack the Jews and turned the rioters over to the police. In 1900, a Polish woman began a rumour that Jews had tried to murder her in order to use her blood to bake matzot (unleavened bread) for Passover. This blood libel led to the exacerbation of antisemitic tensions in the city which, together with the worsening economic situation, led to an increased rate of emigration from Vilna. Thousands of Jews left the city, most for the United States. 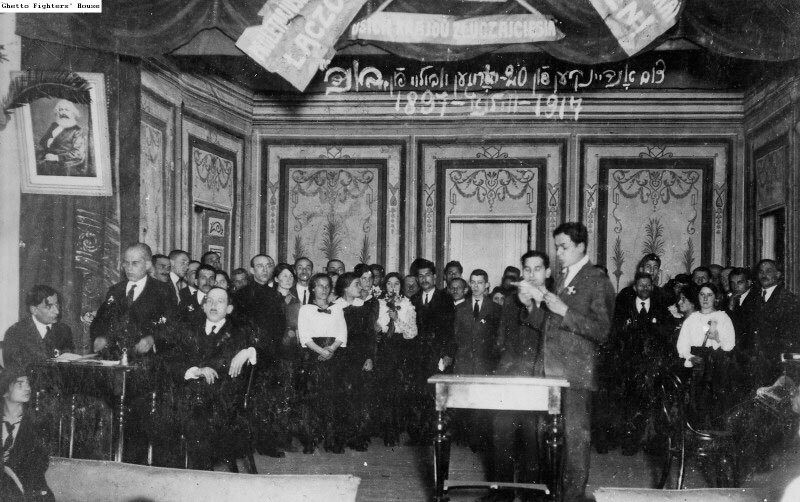 Jewish Bund members and Zionists were active during the 1905 revolution, including Simon Dubnow, Rabbi Yehuda Leib Kantor, Shmaryahu Levin and others. When the revolution was suppressed, pogroms broke out across Russia, and the Zionists and Socialists organized self-defence units. The authorities disbanded these units, confiscated their weapons and arrested many activists. Some fled abroad and those left went underground. With the outbreak of WWI, over 1,600 Jews fled to Vilna from the surrounding areas, as well as from other parts of Poland and Lithuania. In the spring and summer of 1915, tens of thousands of refugees attempting to flee to Russia arrived in the city. Public soup kitchens and child daycare centres were opened and help was also provided to the families of Jews that had been conscripted to the Czar's army. In September 1915, the Germans took Vilna from the hands of the Czar. They confiscated food and other merchandise, and abducted Jews for forced labour. The economic crisis and severe hunger doubled and tripled the death rate. Community leaders, aided by Jewish organizations in Germany and the US, managed to help the needy of the city, mostly with food. 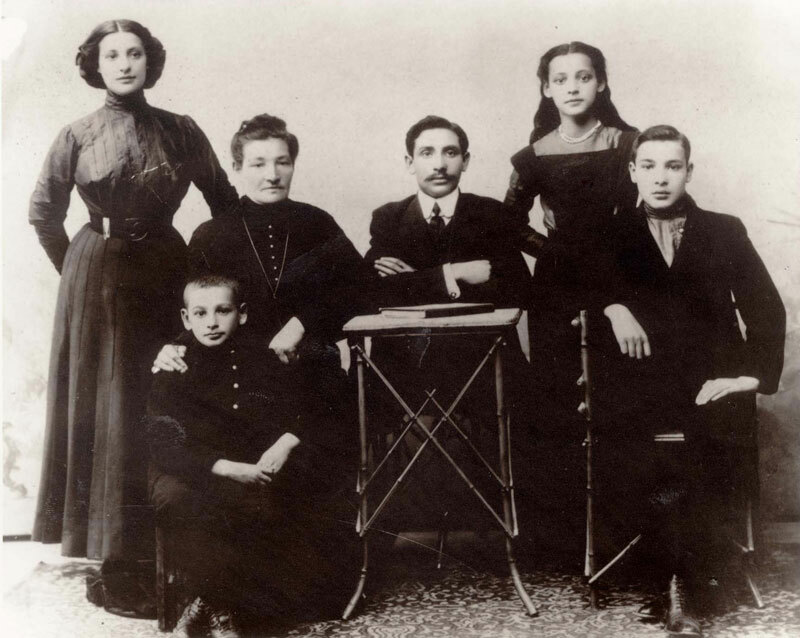 During the German occupation, Yiddish and Hebrew schools, cheders (Torah schools for young children) and Talmudei Torah (religious schools) opened in the city, as well as a vocational school. At the end of 1918, the Germans retreated from Vilna. For the following two years, Polish, Russian and Lithuanian authorities took turns ruling over the city. 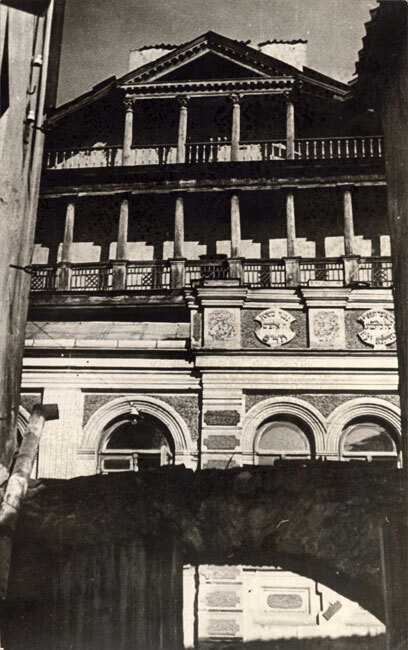 In October 1920, the Poles occupied Vilna, and in April 1922 the Polish Sejm declared the city Polish. 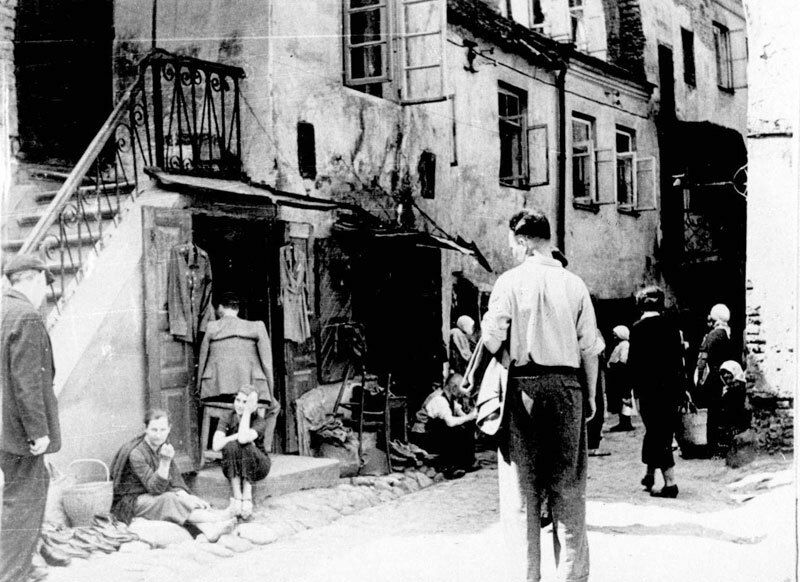 In this period, Vilna had a population of around 140,000, a third of which was Jewish.